In year four, students start moving past the different Parts of speechAnd sentences, and start putting it all together. Tackle year four language arts with these year 4 reading exercises that cover it all. In them, kids will work with contractions, verb agreement, roots words, and so much more. They're made for educators, by educators, and are just plain fun for kids, too. Make it easier for students to spell words by sharing common prefixes with them through this easy to understand exercise. Punctuating dialogue is a skill best learned early, and these exercises are tailored specifically for your third grader to learn independently. Along with understanding the root of words, this exercise will help students learn common suffixes tacked onto different words. 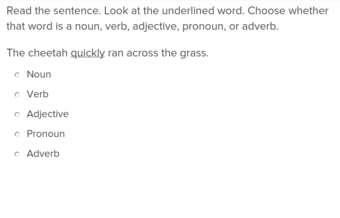 This exercise applies students’ understanding of adjectives to learning how to use adverbs, words that modify actions. 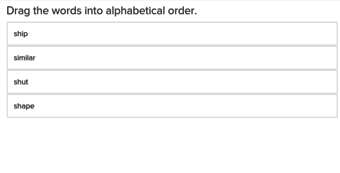 Capitalization of proper nouns is imperative for proper writing form. Help your third grader hone their skills with these exercises. Kids will get lots of practise with capitalizing the titles of common books and poems in this exercise. Helpful hints guide kids on the rules of capitalization. 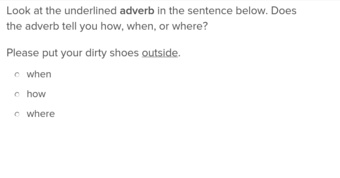 Students will be able to explain a situation clearly after completing this educational exercise on how, when, and where adverbs. Solidify your third graders' knowledge of the parts of speech with these exercises that quiz them on what they know and offer hints when necessary. Set students up for alphabetizing practise with this easy to follow exercise that will expand their vocabulary at the same time. 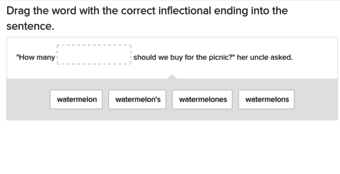 Teach students to write using relative spaces with these exercises that use prepositions to describe one noun in relation to another. Help your third graders get ahead with these exercises that allow them to practise matching singular and plural subjects and verbs. This introduction to past tense verbs will give students the confidence to describe recently passed actions. Teach your young learners about the importance of apostrophes in writing with these exercises that explain how the punctuation mark can be used to show possessives, and how it differs from contractions. Students will appreciate the ability to write some of their most commonly used words after working through this exercise on contractions. Looking forward, students will love being able to describe events they are anticipating after learning the future tense of verbs. 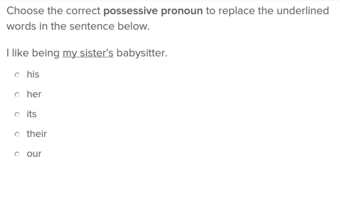 Educate your students on the importance of possessive pronouns early on to help them develop masterful reading and writing skills. These exercises, developed for third graders, will do just that and provide them with helpful hints when needed. Homophones and homographs make look similar, but they have different meanings, which this exercise will illustrate with classic examples of both. 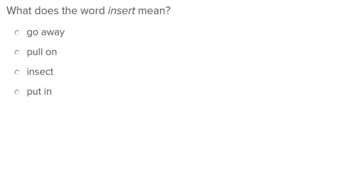 The Eiffel Tower, the Statue of Liberty, and other proper nouns deserve correct capitalization — and this exercise will help kids remember the rules. Once students get underway with this Education.com exercise, learning about similes is easy as pie. Merging short sentences into fluid phrases is key in essay and report writing. Help your third grader master this skill early on with these exercises. Teach your third grader about sentence phrasing and prepositions with these exercises that allow them to practise individually with helpful hints. Help your third grader understand how to correctly identify and utilize demonstrative nouns with these exercises that have them use context clues to pick the best fit. Year four reading bridges the gap between the basics and more obtuse, higher-level concepts. If sentences came easy to your child but stringing them together into longer works is a challenge, hand them over our year four reading exercises for reading success. 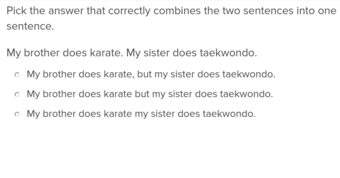 Our online exercises are a digital twist on the physical worksheet, but still help kids identify root words, perfect their sentence structure, and put paragraphs together to form essays and reports just the same. They're also just a lot of fun to do, with lively, engaging written problems and cute, colorful characters that guide your child along the way. After completing this section with flying colors, we have more for them to practise, like Year four mathsOr just Year four in general. With so many options to choose from, we can guarantee your kid will find exactly what they need to improve their year four reading.